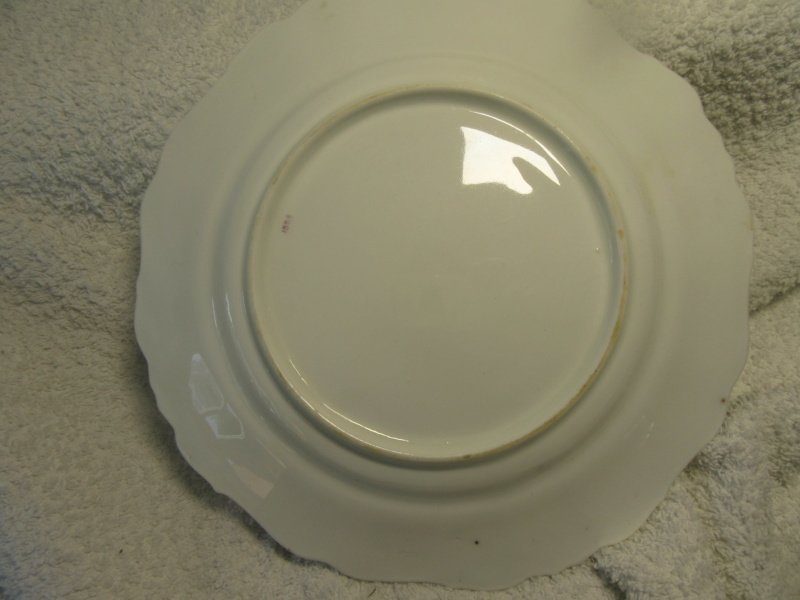 A victorian/edwardian cake-plate, probably Staffordshire, is the best I can do Phil. I think I am trying to make a Silk Purse out of a Sow's Ear. 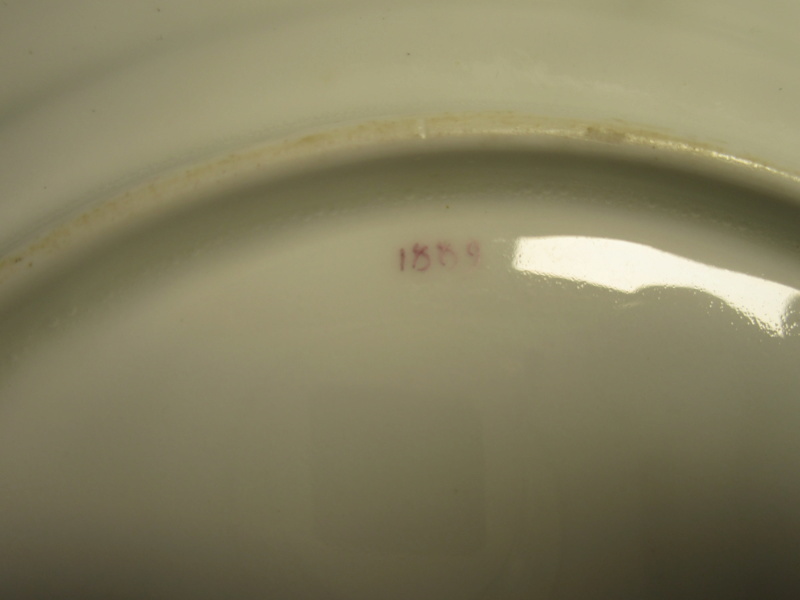 Might be French, the number might be a date, but I suspect it’s a bought in blank. 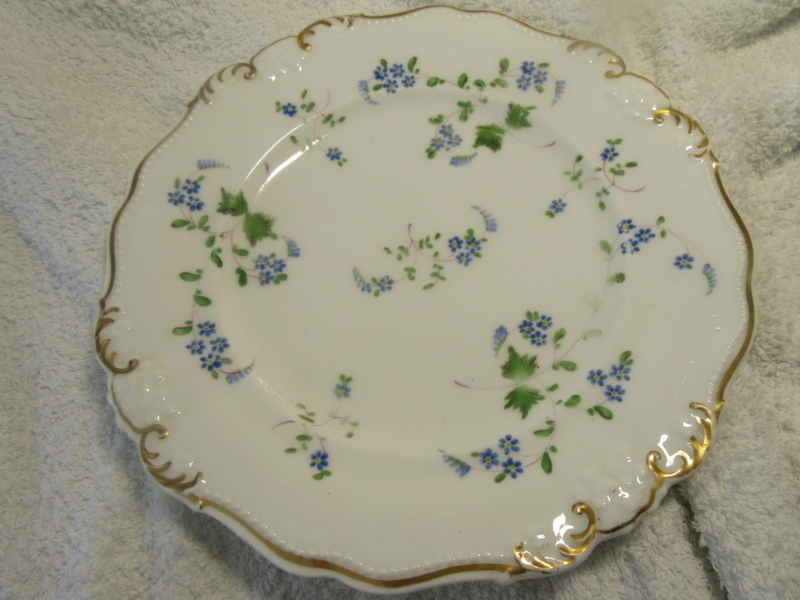 A lot of ‘might be’s , but it’s a Lovely Forget me not pattern.